Santa Inés (Santa Agnès in Catalan) lies to the north of San Antonio in a very fertile region, far away from the tourism of the big towns. It comprises a church, a supermarket, a few bars and restaurants and several surrounding houses - but not much else, which only adds to the rural charm here. 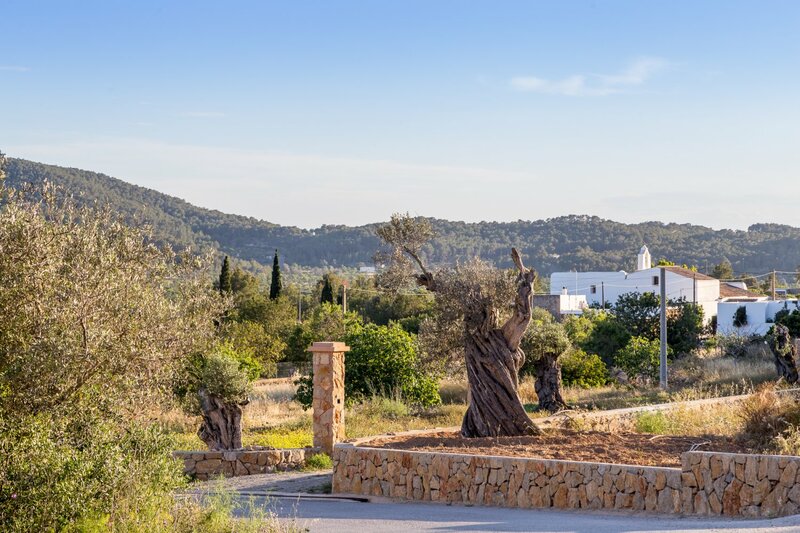 Santa Inés is a wonderful place to visit in order to discover the real Ibiza, far away from the hustle-and-bustle of Ibiza Town and San Antonio. Do take a walk around near the village, as the surrounding countryside is simply breathtaking, with fields of orange, lemon and almond trees set against the deep, ochre-red of the earth and the many different greens of the pine trees. If you'd like to stay near Santa Inés, the rural hotel Can Pujolet comes highly reccommended and is only 3 minutes away from the town centre. Or choose one of the stunning private holiday villas nearby. Time seems to stand still in Santa Inés except during the month of february when the almond trees begin to bloom, and the whole of the island gathers in the village to admire the spectacle. This is one of the prettiest displays of nature you will ever see, as the whole of the valley is swathed in a covering of silvery-white.